India should manufacture the majority of the parts needed for its electric vehicle fleet as equipment shipped from overseas could be compromised, V.K. Saraswat, a member of the think tank, Niti Aayog, said in an interview. All of the software and at least 55 percent of the components need to be made domestically to keep electric vehicles and the grid secure. “There has to be a push toward local manufacturing,” Saraswat said. Prime Minister Narendra Modi’s administration said last year it aims to have mostly electric vehicles by 2030, in a country where about 3 million fossil fuel powered passenger vehicles sell annually. In an attempt to jump-start the nascent electric vehicle market, India last year conducted its first tender to buy 10,000 electric cars for government use that was won by Indian automakers Tata Motors Ltd. and Mahindra and Mahindra Ltd. 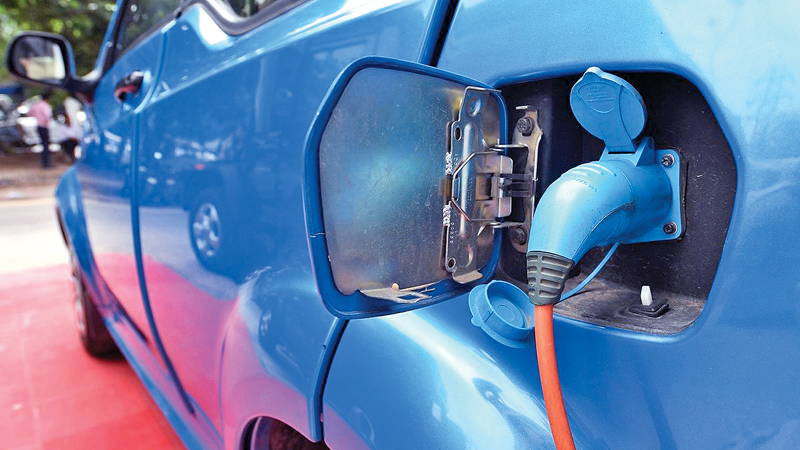 State-owned Energy Efficiency Services, which is tasked with helping the nation reduce emissions and curb fuel imports, said Saturday it is planning to issue a second tender to procure 10,000 electric cars in three months. Some foreign automakers are also looking to get into the new segment. Hyundai Motor Co. is poised to be the first global automaker to introduce an electric vehicle in India next year, with plans to bring completely-knocked down kits from its factories at home. While China manufactures everything from a chip to a converter for its electric vehicles, Indian automakers use imported electronic equipment, Saraswat said. Local electric-vehicle makers import nearly 80 percent of the core of an electric car, including the battery and the battery management system, according to Kavan Mukhtyar, who leads the automotive practice at PwC India. The local supply chain is nascent because there are hardly any volumes, with India expected to have as many 10,000 battery-operated four-wheelers and about 100,000 two-wheelers by the end of March, he said. “In several industries where we take equipment from abroad, there have been instances where there’s a backdoor entry left open and information does go back to the equipment supplier, which could in future have implications for national security,” Supratim Chakraborty, an associate partner at legal services firm Khaitan & Co. said. Read how India plans to turn Tesla model on its head to target mass EV market.